Women take competition at work too seriously and it could be damaging their careers, according to research from UCL School of Management, which may set gender representation back by 30 years. But how much of this is the systemic pigeon-holing of skilled, powerful women long before they’re a ‘threat’ to the system? Gender equality has finally become a hot-button issue in the corporate world, after decades of campaigning for equal pay for equal work, laws against harassment, and representation of capable women in management. The premise catalysing gender equality in the workplace has been that women are as capable as men in the functions and demands of all job roles across the spectrum. However new research from University College London School of Management poses an interesting theory – one that may set women’s lib back by years. According to UCL assistant professor Sun Young Lee, women experience competition with same-gender co-workers more negatively than men. Her research suggests female peer culture values harmony and equality, and competition is at odds with the norm of female relationships. Hierarchical ranking and competition, the twin pillars of the corporate world, are reportedly aligned to male peer culture. Essentially, her research suggests that when faced with competition, women get catty, while men let bygones be bygones and bond. 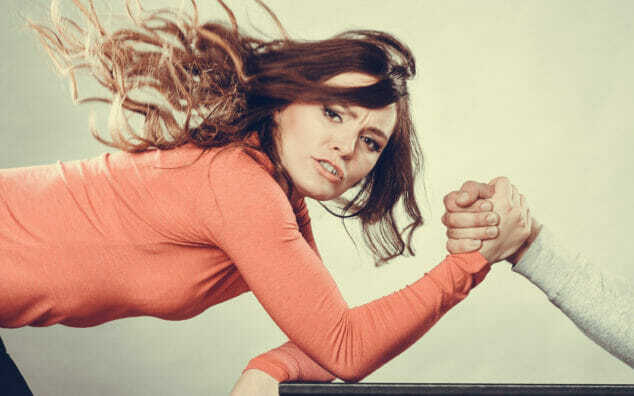 “As a woman who has worked across the world, I’ve long observed that women take competition with other women much more personally than men take competition with other men. My research provides support to such an observation.” says Dr Lee. The bottom line for Dr Lee is that women could struggle to interact with female co-workers, becoming overly cut-throat and mean, which may restrict their career progression. The findings suggest that for organisations with a majority of female employees, competitive practices may not be the best way to organise work, according to Dr Lee. The assertion that women universally get catty in the face of competition, and block each other’s path for success runs the risk of infantilising and disempowering women in the corporate world, equating them to childish machinations you’d expect from teenagers. The popularised “Queen bee syndrome” from the 1970s suggests that leading professional women purposely keep other females out has been disproven by researchers at Columbia Business School in New York. According to those researchers, a lack of women in senior roles is more because of the male majority in management seeking to retain control. Studying top management teams in 1,500 companies over a 20-year period, the Columbia researchers found that women were more likely to make it up the career ladder in companies where the chief executive is another woman. However, when a woman had been given a senior role that was not the top position, the likelihood of other women following them to executive level fell by 50 per cent. According to the research team, women face an unspoken, unacknowledged quota in many companies. Firms, whether intentionally or not, tend to maintain a small number of women on their top management team, usually only one. Apparently, having more than one female in management does little to boost the firm’s legitimacy, thereby dissuading these businesses from letting other women in. While Dr Lee’s take on women and competition is based on four studies with 797 participants published in the Journal of Personality and Social Psychology, new research from Université Paris-Saclay stresses that girls need to be taught to be more competitive to counter the barriers they face in their careers when older. Examining chess as marker for competitiveness in business, professors José de Sousa and Guillaume Hollard concluded that men tend to be more competitive than women, and in their bloodlust to win, may not always play fair subconsciously. Influences like schools and parents need to work on how boys and girls view competition, encouraging girls to be more competitive, and boys to be less, according to de Sousa. After studying more than three million games of chess from 154 countries, they found that in games with comparatively equal opponents of the same, nationality and ranking, women were more likely to lose against men. José de Sousa suggests that it could be a case of the threatened male asserting himself through psychological means. “Male players seem to want to beat female players more, women know that. When women are told that they tend to do worse, they usually do,” he explains. “Women often shy away from competition. Perhaps men push harder against women. The man thinks he controls the game and has to win,” he posits. This research uses chess as a basis to study the psychology of competition, based on the fact that the data can be compared across countries because it’s measured in the same way. de Sousa suggests that this has nothing to do with skill, and is primarily because of a lack of self-belief that potentially flares up in female players when told they are less likely to win. This psychological effect of competition may translate into a massive under-representation of women at the top of the hierarchy because they drop out and stop putting in effort. There’s a whole body of work underscoring de Sousa’s research, that self-belief and confidence have a greater bearing on success than skill alone. But why are competent women doubting themselves? Is this alleged insecurity the reason for their “cattiness”, as theorised by UCL’s Dr Lee? In Adrienne Mendell’s guide to corporate success, How Men Think: The Seven Essential Rules for Making It in a Man’s World, she points the finger squarely on gender roles foisted on to children at a young age, affecting the way little boys and girls respond to making mistakes, taking criticism, and sharing their successes. “Little boys play a lot of competitive sports. Little girls play with dolls. Little boys make a lot of mistakes playing team sports. Little girls can’t make a lot of mistakes playing with dolls because there are no rules. When a boy makes a mistake, he is encouraged to go back and try harder. When girls make mistakes, they are comforted. Boys learn that making a mistake may be embarrassing, but not fatal. Girls learn mistakes are something to feel bad about. Boys learn that you earn your team’s respect by striving to improve your skills after making a mistake. Girls learn you will be consoled if you call attention to your mistakes”. – Adrienne Mendell, How Men Think: The Seven Essential Rules for Making It in a Man’s World (1996). Mendell’s generalisations have come under fire for decades, but it’s her part in this vast and growing canon in gender roles and socialisation that has helped businesses realign their relationship with their consumers. Mendell’s book is two decades old, which means those little boys and girls are now in our boardrooms. “I am sorry” is heard more in women’s vocabulary than men’s vocabulary. Mendell sees this as directly linked to the way women are socialised in childhood. In contrast, she alleges that men approach mistakes by acknowledging, correcting, and moving on. Extrapolating from that, she asserts that by calling attention to their mistakes and over-apologising, women may be projecting incompetence, especially in the eyes of male bosses. Of course, this was twenty years ago, when sexual harassment was ‘frowned-upon’ rather than condemned. Research published in the Scientific American, peels the layers back to why women apologise more than men, and it may be less to do with social conditioning, and more because the female standards for what we think is offensive is generally lower. Studying the number of self-reported offenses and apologies made by 66 subjects over 12 days revealed that while women apologised more times than men did, they also found more instances offensive. According to this, the issue isn’t that women over-apologise, but a gender difference in what is deemed worth apologising for in the first place. Another recent study of 2,000 full-time British employees by rungway revealed that women don’t want to be seen as a ‘pest’ with workplace problems. One in five reportedly fear they will be considered annoying if they ask for advice on workplace and career issues compared to just 14 per cent of males. Ellen Leanse, a strong proponent for equal gender representation in the male dominated tech sector, took the female vocabulary to task. Beyond the overuse of the word “sorry”, Leanse believes words like “just” and fillers like “like” are also used too liberally. These words weakening our messages and makes commands appear like requests. She believes vocabulary is linked to confidence and assertiveness, which are core leadership traits. Back to Mendell’s potentially outdated book, she explains how men don’t shy away from shouting about their successes, while downplaying their mistakes, while the converse is true for women at work. If more women are to enter senior management roles, these leadership issues are important to cultivate. It’s not just a gender issue. For women raised in a culture that paints politeness and selflessness as virtues, it can be frustrating and hypocritical to be told later in life that the way they speak is the reason they’re pressed up against the glass ceiling. How much should the same culture shoulder the blame? Pantene’s ‘Not Sorry’ commercial is both empowering and disempowering. Even the “not sorry” movement finds fault in women in a way that undermines the way they communicate and chips away at the very confidence they intend to build. It’s a catch-22 punctuated by reams of research on either side. Saying sorry whether needed or not, isn’t what’s keeping women out of the boardroom. It’s the inherent assumption in corporate culture that women are weaker, and are obliged to justify her leadership role through metered language deemed ‘corporate’. Holding your tongue when you want to say sorry, or being purposefully brusque to command respect won’t right decades of wrongs. As much research as there is out there in an effort to bridge the gender gap in the corporate world, it becomes an HR minefield given the fact that anytime we talk about “men” and “women” we are making generalisations that do not always feel true or helpful to everyone. So what’s holding women back from leadership roles? Are they just not wired to compete? Do they just not understand the camaraderie of competition and sportsmanship? The performance of the world’s best athletes in the Olympics proves otherwise, with more women making their mark and breaking records than ever before. Are women not competitive enough? Are men too aggressive? Does that make women too passive? What about the way they speak, think, act? Ultimately, all these findings prove that as long as we pick at our differences, especially those that have no bearing on the ability and competency of women to work, learn, and lead, the glass ceiling is not going anywhere.